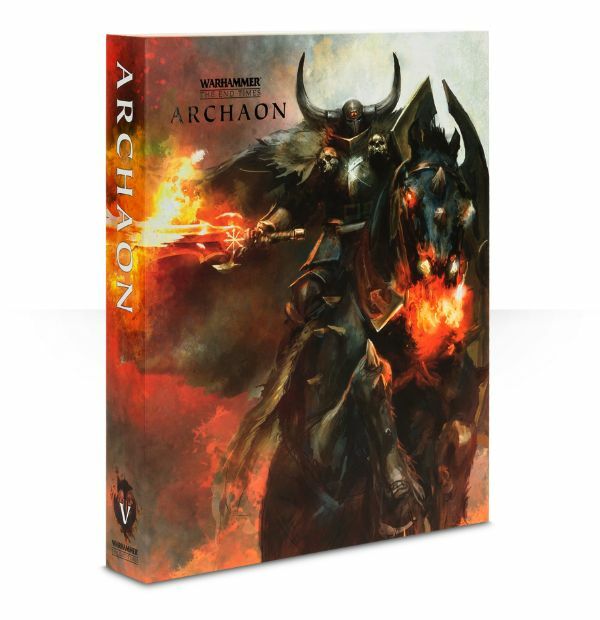 BREAKING: ENORMOUS NEW Archaon Model! 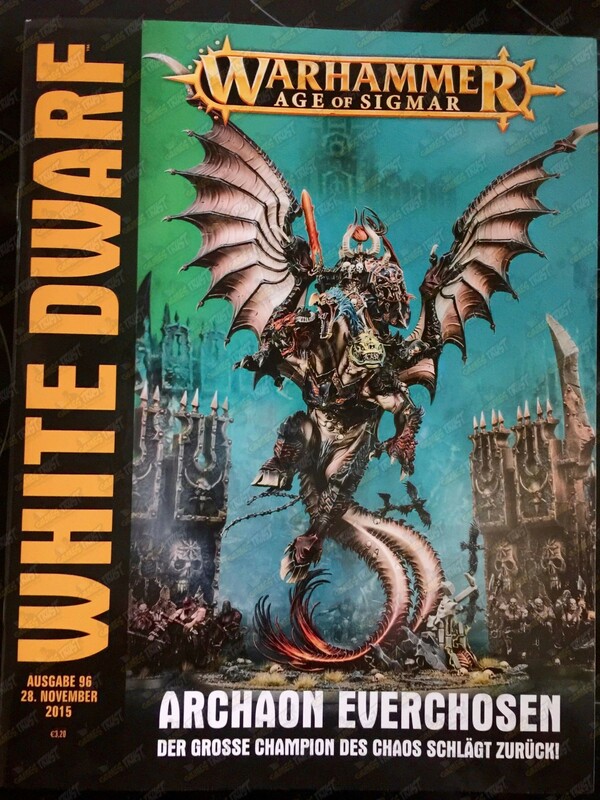 Move over Nagash – A giant new Archaon riding a giant winged mount just broke. GO GO GO!!! 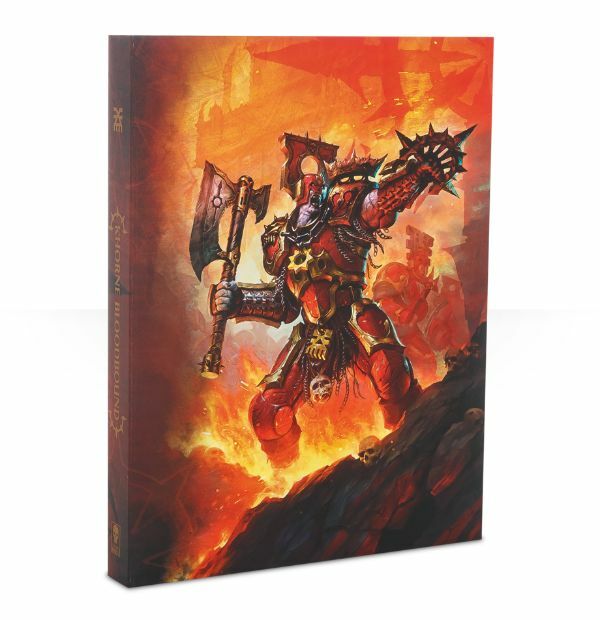 Khorne forces wage war on your wallet – Games Workshop style. The Blood-God is bringing the Brass, Blood and Skulls this week! 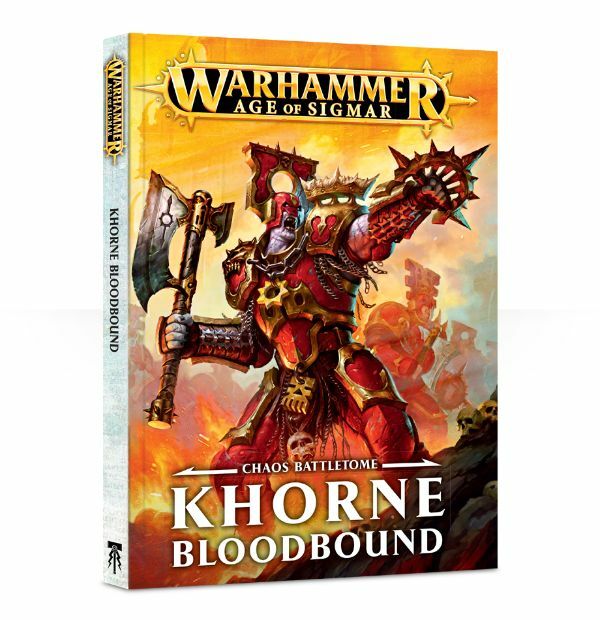 Age of Sigmar is about to get bloody – Khorne Characters & More Inbound! BREAKING: Khorne Blood Warriors Pics GO GO GO!!! Move over Berzerkers, the new Blood Warrior models are putting you to shame! Come see Chaos Fanatics! The dread forces of Chaos are coming your way GW fans. Here’s the scoop on what’s headed for your wallet. For the GLORY of KHORNE – Skarr Bloodwrath! 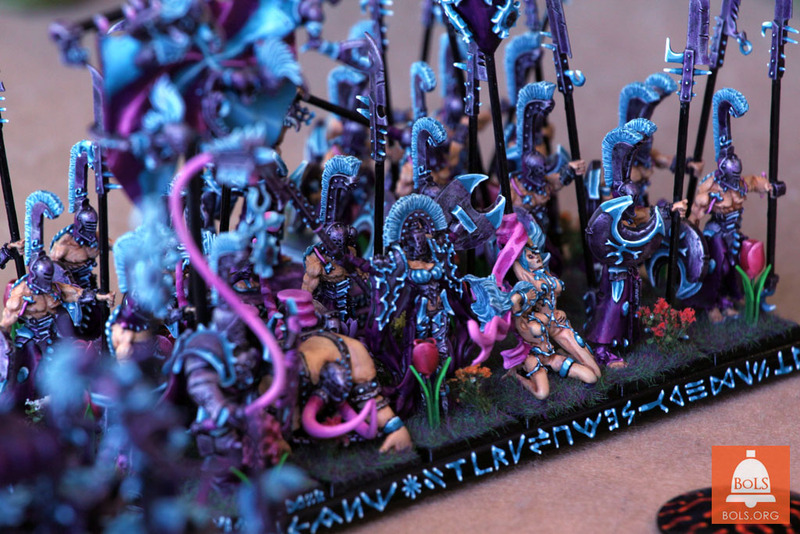 GW shows off the furious rageball that is Skarr Bloodwrath – Don’t miss these closeups. GW unleashes the week’s latest minis, and they are all servants of the Brass Throne! 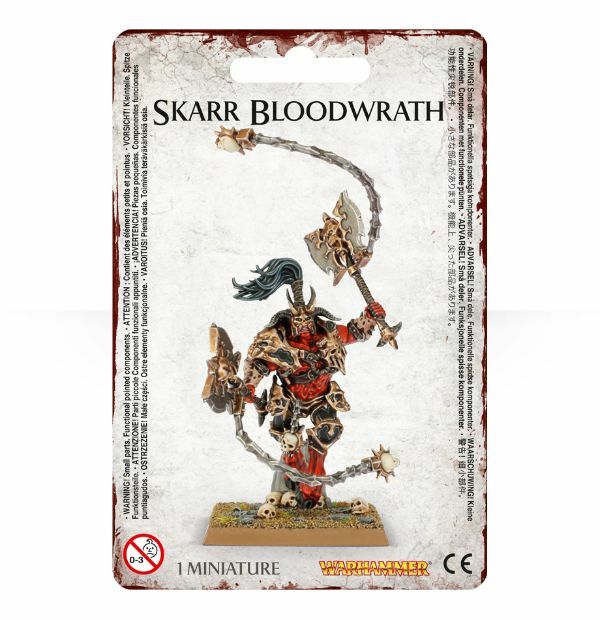 End Times: Introducing SKARR BLOODWRATH! 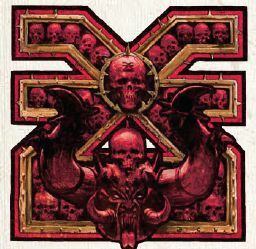 For the GLORY of KHORNE! GW shows off the blood-drenched Wrathmongers and Skullreapers, plus End Times Archaon in glorious detail – Don’t miss these closeups. 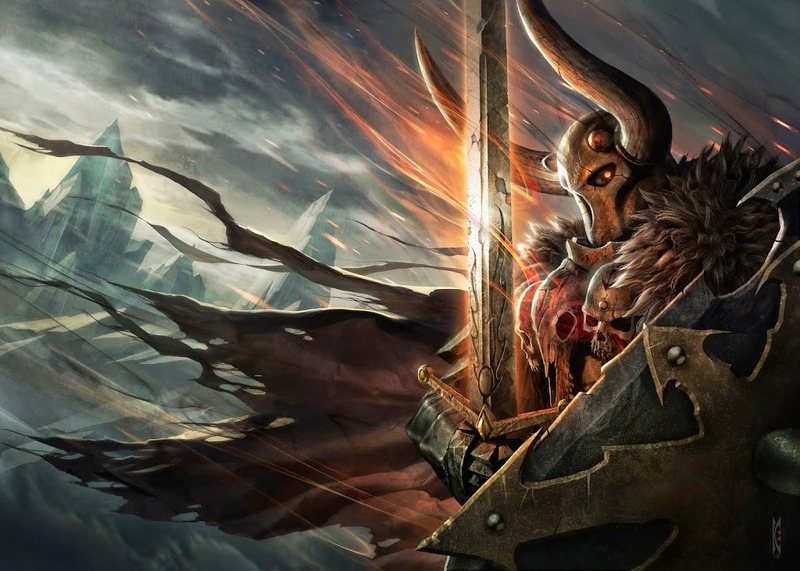 End Times Archaon & Khorne ARRIVE! It’s been a long wait but the Lord of the End Times is HERE! Come see the new hotness.